I wear a sports bra at least six times a week. Sports bras are expensive. I am a teacher (i.e. not rich). These three things mean that I have some old bras. But for the most part, they’re still doing the job. Except this one. Don’t worry. My tetanus shots are up to date. Also, I threw that one away and ordered a replacement this weekend. Okay, I get the point of this one. A lot of white foods are over-processed and under-nourishing. But some white foods are good for you. See? Maybe if you are a bodybuilder, or your primary goal is to look saucy in a bikini, this is an okay rule to follow. If, like me, you’re a runner who trains at night, this is a terrible rule to follow. Your body needs carbs to replenish its stores. (Hence the aforementioned potato/turnip goodness). Eat them. This is one that I’m really working on, especially after long runs. My usual post-LR routine goes something like this: come home, go to the bathroom, make fun of whatever show J is watching while I pretend to stretch, take a loooong shower, slowly get dressed, screw around on my phone… and suddenly realize that I’m STARVING and eat everything in sight. This is not a good nutrition strategy. I do not. Which is why I am the most inflexible human on the planet. But my 10k training plan has two days of stretching each week– once after speedwork and once after long runs — and I’m keeping up with that. So, I’ve stretched six times in the last three weeks. Go me. The moral of the story here is that rules don’t always apply in every situation. Do what works for you! But don’t discount advice just because you don’t like it, either. Some rules do matter. What “rules” do you break? Check x Five. I am with you on all of the above. When a sports bras gets old? I double up. White foods? I studied rice in grad school and white rice just tastes so much better than brown. And so on. haha this made me chuckle, the sports bra one rings way too true for me. along with the stretching, ouch it hurts to even think about the last time I actually stretched. not good. and carbs at night are a must for me, whoops! I just had a giant bowl of oatmeal because I was still starving after dinner. Mmmm, carbs. Haha At least you can wear those cute bras that Target always comes out with! I don’t like to follow the “rules” either. There are so many out there related to fitness that I can’t keep track. 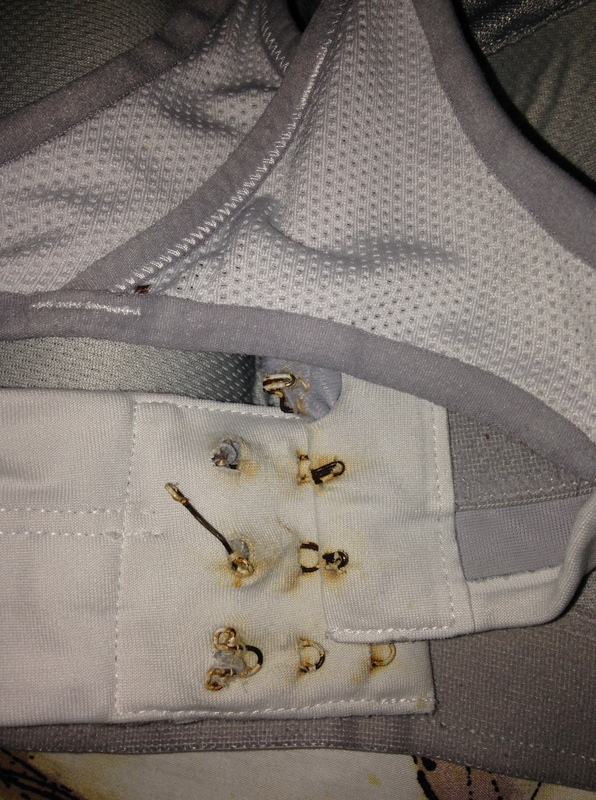 I have never heard that one about the sports bra – mine have definitely had a few birthdays but I do need new ones – I have some holes happening!! I kinda feel like that rule was made up by sports bra companies. At least that’s what I’ll keep telling myself. I honestly had absolutely no idea that sports bras aren’t supposed to have a birthday…. I’m poor. Most of mine have had 3 or 4 birthdays. Oops…. Also, I think I would beat you at least flexible. I’ve been trying to be better about stretching, but when I go to stretch, I lay down instead. I have gotten better about my stretching lately. I probably need to do more though because my stretching routine is still only a couple minutes long right now. lol. I have never heard of the sports bra one, but I am an elite athlete and mine have had many birthdays!!! Some of the others are very true though, I am not too good at stretching, but I definitely make sure to get the nutrition down as that is critical to recovery! I really need to work on that….seriously, I love to eat; this should not be so difficult! You and I are so much alike! I also train at night and therefore must have carbs in the evening. I’m such a rule-breaker! 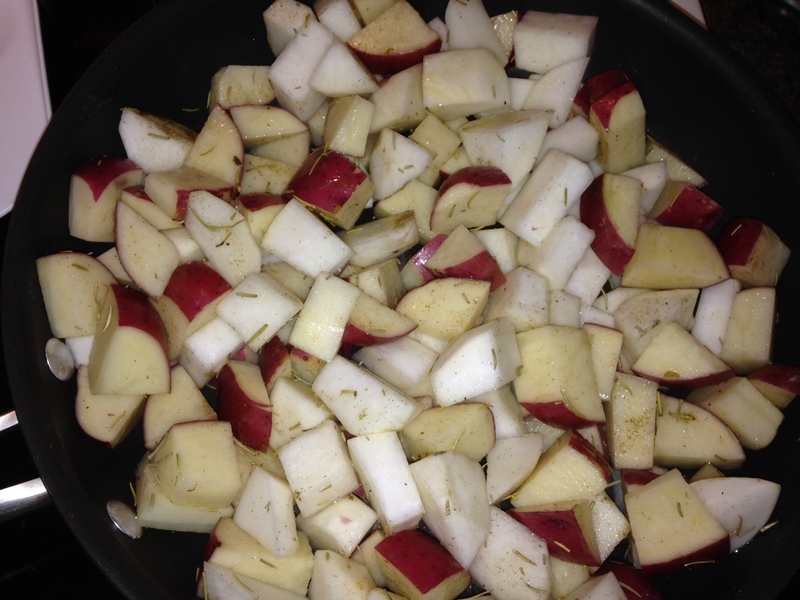 😉 I love potatoes and turnips….I eat them all the time. Love this. Plenty of my sports bras have been around a few years. They are too expensive to buy new every year! I bought two new ones this weekend though and they are glorious. Rule I break? A glass of red wine a night is good for, but three drinks in one night is not. I don’t like to drink every day and usually have 3 cocktails tops on Saturday night. HA, the sports bra picture and shout out to tetanus totally cracked me up! I think your chest and back regions will thank you. 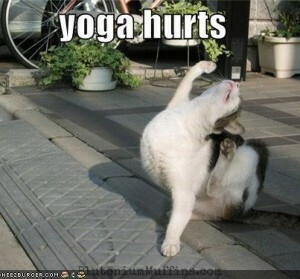 ☺ I’m the same way about stretching – who has time for that. I hold a stretch for about 5 seconds and feel as though I have wasted an hour. I really should though.